A couple of weeks ago I bought this watch. It’s a fantastic looker! But what I noticed is that the lines on the inner diver ring are not exactly pointing on the lines on the dial. They are not completely centred. Some of the lines are a bit off, not much, but enough to be noticed. I had my watch been serviced by Longines because of this reason, and they told me it was not possible for them to get this any better. They even showed me information which was released only to the Longines dealers and staff, that showed what was acceptable in their point of view, and what was not. 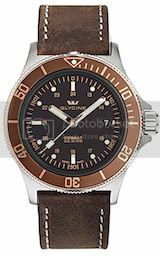 (Look at the picture, and check the 5 ‘o clock lines on the diver ring and the face). I just wanted to share this with the world. Again it’s a beautiful watch, but know that there is a little estaticle flaw in it. Geen alleenstaand geval. 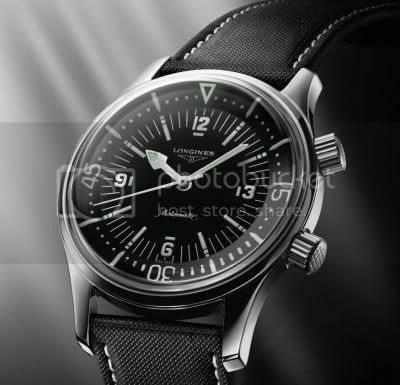 Heb een Longines VHP, ook al eens laten servicen wegens oxidatie van de wijzers maar de secondewijzer komt ook nog steeds niet op nul, maar 0.5s voor en na het bovenste punt. (wel lastig bij het zetten naar de atoomtijd). Anders wel een mooi horloge en 0.2s per maand fout, dus echt wel high precision.